In Berlin, A Boar Of A Story More than just Germany's capital, Berlin is home to an estimated 3,000 wild boar. They have been tearing up green spaces, and recently a 265-pound boar attacked four people. The streetwise swine like the city, where food is plentiful but hunters are not. Some 3,000 wild boars are estimated to roam Germany's capital. This 2008 picture provided by the Berlin Forestry Commission shows a sow and her offspring that decided to make their home outside an apartment building. Recently, a wild boar attacked and injured four people in a Berlin neighborhood. "PIGS" are a hot topic in Germany's capital. Attend any press briefing about how German Chancellor Angela Merkel is going to solve the European debt crisis, and you're likely to hear that acronym, which stands for "Portugal, Ireland (or Italy), Greece and Spain." But recently, pigs of an altogether different variety made headlines in Berlin. Four people were injured — including a policeman — when a 265-pound wild boar attacked them in the Berlin neighborhood of Charlottenburg in late October. The police officer shot and killed the animal, which had been injured while crossing a busy highway. Shocked residents said they had seen boars in the nearby park but didn't know they were dangerous. Some residents squealed on neighbors, accusing them of throwing food from their balconies to the pigs. 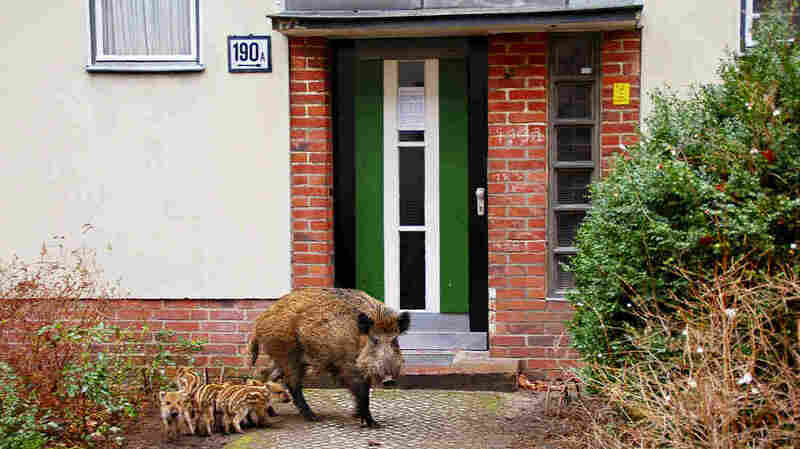 Feeding wild boars in Berlin is illegal, and offenders face fines of up to $6,500. Officials say attacks like this are rare, but as it turns out, wild boar roaming Berlin neighborhoods are not. 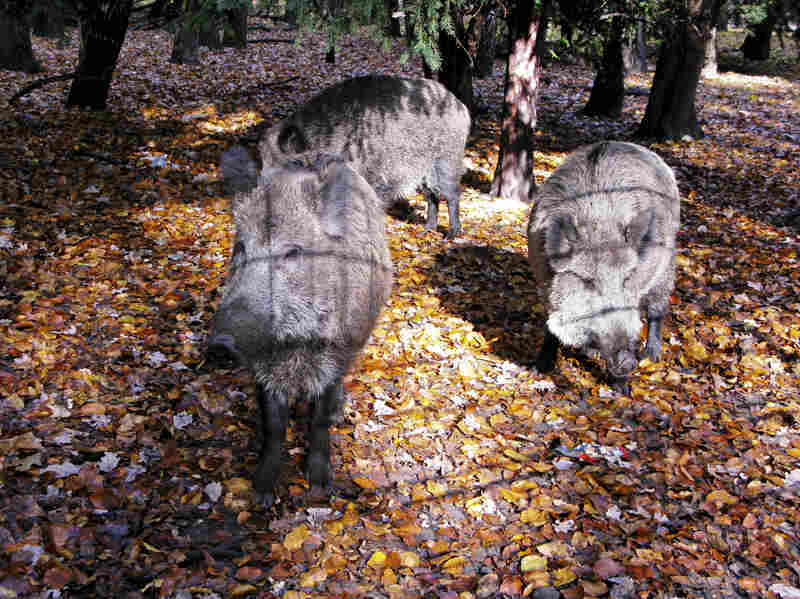 Thousands of wild boar have migrated to the city, where food is plentiful and hunters scarce. 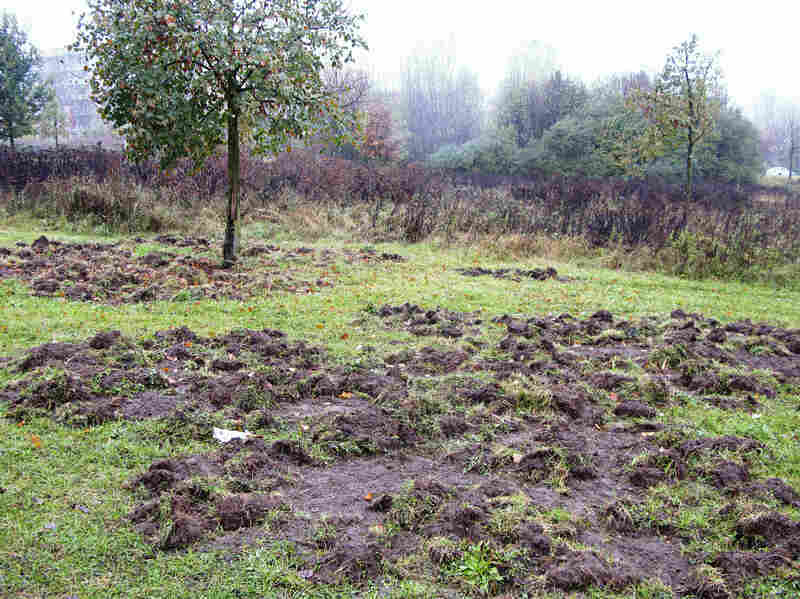 Berlin forester Marc Franusch reports that joggers and dog owners in the city come across wild boars in the city's numerous parks on almost a daily basis. The swine are shy and usually run away when they see people. But it's another story when it comes to their search for food. Some 3,000 are estimated to roam the city's green areas at night in search of insects, tearing up gardens, cemeteries and even the pitch of Berlin's professional soccer team. Often, Berliners with perfectly manicured front lawns and vegetable gardens wake up to find little left but muddy mounds. The culprits are rarely found. Wild pigs are very smart and quickly learn how to avoid anyone looking for them, explains 53-year-old Peter Felske, a volunteer hunter for the city. With the Berlin government's permission, he and some two-dozen other volunteers cull wild boar herds in city neighborhoods. Felske exudes a calm confidence that he and others say is vital for hunting in urban areas, which they add is far more dangerous than in the many forests that surround the city. Felske says it's paramount to fell the boar with a single shot for the safety of passersby. Yet getting this radio story in a single take proved impossible. NPR correspondent Soraya Sarhaddi Nelson and I traveled to the far corners of the city over several days in search of roaming wild boars to record. The closest we ever got to them was the torn-up earth they left behind — like the footsteps of some urban Yeti. We eventually found a small herd kept in a tree-filled enclosure in a park across the street from where the Charlottenburg attack occurred. Even here, they were impossible to spot until Soraya pulled out a bread roll. Suddenly, three large, tusked boars galloped toward us at top speed. They aggressively poked their snouts through the fence demanding to be fed. It made us glad for the tall fence.